... feel free to join in for the fun! I feel like flowers are pretty & enjoyable & something you dont buy yourself often... but candy, you enjoy a lot more. My scale doesn't enjoy it though. I'll go with flowers on this for sake of health. I have been enjoying cooking lately. & its not so much that I'm better at it - I'm equally as good in both just because I dont know what I'm doing & follow the directions. I know there's some naturals out there that can whip things up on their own.... this question is more for those people. Me? Give me step by step ways to do it & I'm good with either. Yep. All I'll say about that ... a girl doesnt kiss & tell, right? I always have loved white roses.... but its hard to find because you cant have white roses with the dead ends on them - they are so visible on a white rose. & they are just hard to find in general. It always drives Ricky nuts because he tries to get me white roses for special occasions & will come home with another color & say, "I tried man, I tried"
6. Conversation hearts - yes or no? All the time - everywhere & for every one. I'm the person who leaves notes on mirrors in random places for people to see & take with them. Not typically.... BUTTTTTTTTT - our tree is still up - in February. I told Ricky I was going to do it. He's like a whipped dog or something - he just said, "Go ahead"... I guess there are no future plans to take our tree down. I might as well go ahead & decorate it for Christmas so I'm ahead of the game. I used to hate pink. Loathe it. I really like it now. But I feel like red looks better on me for some reason. Ricky reminds me all the time red doesnt look good on redheads - I disagree though. Who am I to deny any chocolate? But I do love me some dark chocolate probably a smidge better. Not really. Lust at first sight? Sure.... Can it happen, sure - but I think the odds are reallllllly slim. 12. Do you give Humorous or Serious Valentine's Cards? I tend to rarely, RAREEEELY ever give a serious card for any event... unless its something tragic or sympathetic. I'm the person who loves to go to the funny card area in a store & read every one of them & laugh so loudly, Ricky has to walk away of embarrassment. but going outside the obvious... I'll go with Sweet Home Alabama... Reese Witherspoon is so dang cute in this. I think I can watch it every time its on. Used to be Go Out... the older I get, I'm all for the Stay in & be comfy version of life. I will say, on Valentine's Day - if it falls on a weekend, we will go out... for breakfast. Just to beat the crowds & enjoy the holiday in our own unique way. I mean, who doesnt love an excuse for a good breakfast? Great idea to go out for breakfast. 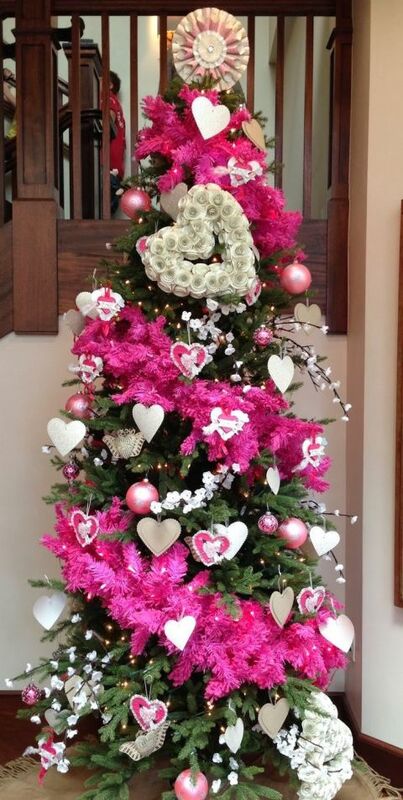 I so want you to decorate a Valentine Tree! I “loved” reading your answers! Bless Ricky's heart! Can't ever blame a man for trying! I have always Loved sweet home Alabama! You better share a pic of your valentine tree when it is decorated! Sweet Home Alabama is the cutest movie, I love Reese! I am with you, the older I get, the less I want to go out. White roses are so beautiful and classy, but they are hard to keep white. You are so right!!! I tend to go with pink or red for that very reason. Give me white chocolate, red roses and I love to wear pink or red. If you decorate your tree for Valentines, you have to post a picture. Hugs and flowers all the way! We are opting to stay in this year because last year was too much. I so appreciate random note leavers. So much fun and YES - you should absolutely decorate the tree for Valentine's Day. I want to see pictures! I find conversation hearts fun but taste dreadful. I like all chocolate but dark chocolate the most, which I never liked when I was young. I'm a purist so red roses for me. I'm also with you on lust at first sight. If you're really, really, really lucky, it might turn into love. But the only thing I've ever fallen in love with immediately is my cats. :D Also, every cat I see, which is a bit of a problem. Somehow it's less of a problem than if I fell in love with every man I saw - right? Oh man, I love Sweet Home Alabama! I thought it was a great movie, and underrated since I don't hear about it much from others. I like the idea of candy hearts but don't really like eating them. Ahhh...Sweet Home Alabama. Definitely a favorite of mine and I've seen it at least a half dozen times. 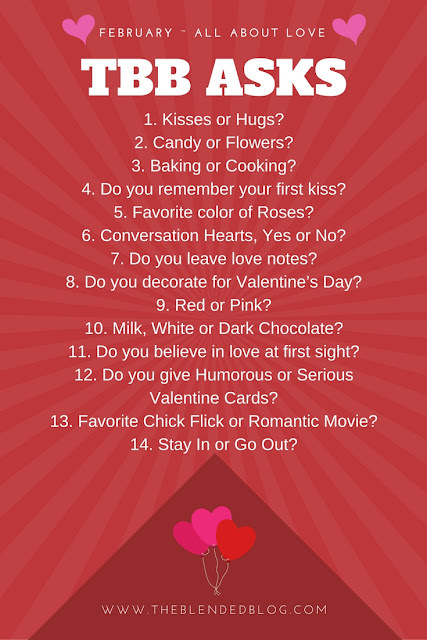 This is fun and I may have to give it a try closer to V-day!! Sweet Home Alabama is a great one. I definitely believe in love at first sight. I'm pretty sure that's how we ended up engaged within two months of meeting! 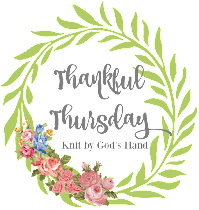 I love this...going to do my post this week. Sweet Home Alabama is my favorite too!!!! I want to leave more notes. I love that idea. I love Sweet Home Alabama, but I haven't seen it in forever. I absolutely remember my first kiss. Hahaha. It was a pretty good one.